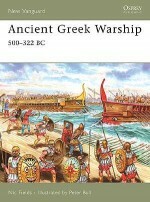 The Roman Empire was not only built by the strength of the legions but also by a navy that was the most powerful maritime force ever to have existed. It was the presence of this fleet that secured the trade routes and maintained the communications within the huge Empire. 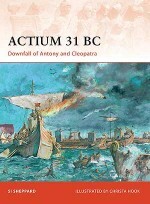 The superior design of their warships, coupled with skilled naval commanders such as Agrippa, Sextus Pompeius and Pontus Euxinus, gave the Roman Empire a formidable navy that could defend the coasts of the three continents under the rule of the Caesars. 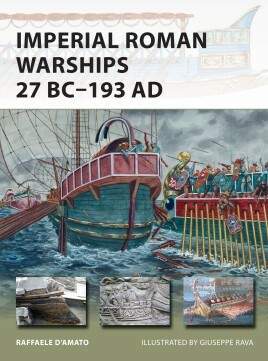 Featuring archaeological photography and lavish artistic reconstructions, this book reveals the design and development history of Rome's naval force at the height of its Imperial power. 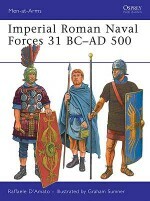 As well as examining its warships, it reveals the navy's structure and the tactics that were developed to make the most of Rome's naval design superiority. 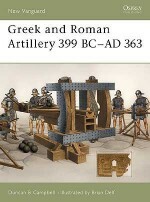 Dr Raffaele D'Amato is an experienced Turin-based researcher of the ancient and medieval military worlds. 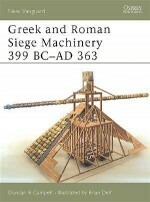 After achieving his first PhD in Romano-Byzantine Law, and having collaborated with the University of Athens, he gained a second doctorate in Roman military archaeology. He currently works as vice-head of the Laboratory of the Danubian Provinces at the University of Ferrara, under Professor Livio Zerbini. Giuseppe Rava was born in Faenza in 1963, and took an interest in all things military from an early age. Entirely self-taught, Giuseppe has established himself as a leading military history artist, and is inspired by the works of the great military artists, such as Detaille, Meissonier, Röchling, Lady Butler, Ottenfeld and Angus McBride. He lives and works in Italy.